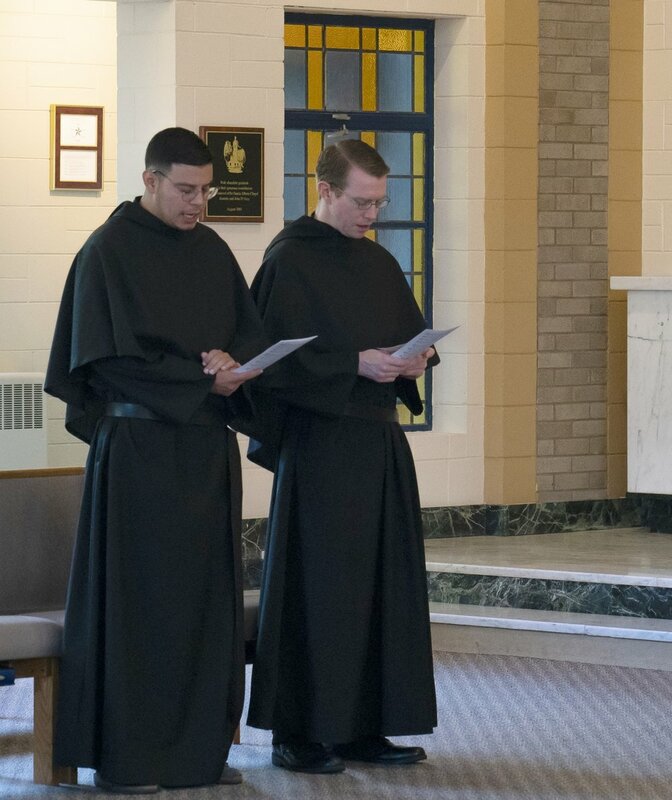 When people say that the Augustinians are “active contemplatives,” it may sound like a bit of an oxymoron (like saying “icy hot,” or when Fr. Stephen Isley claims he is going for an “easy run” outside). But as with a lot of things in our lives as Catholics, this is not something that is an “either/or.” Rather it is something that is a “both/and.” For instance, we need BOTH love of God AND love of neighbor because they are mutually interdependent. We also believe in BOTH Scripture AND Tradition as sources of Divine Revelation. So, being BOTH active AND contemplative is definitely compatible--it does not have to be mutually exclusive. While Augustinians have active ministries in parishes, schools, and other areas, we also consider prayer a fundamental part of who we are. But prayer is not just something we “do.” Our active lives EXTEND OUT from and FEED OFF of our prayer lives. Our contemplative dimension is an essential component of who we are. This traces back to our roots as hermits in Tuscany, and it also traces back to the life of St. Augustine himself. Even though he was very busy as bishop of Hippo, he still made time for prayer. This is especially evident in his effortless use of Scripture throughout his writings, which could only come from spending some serious prayer time with Scripture. I also love the story of Augustine and is mother, Monica, in Ostia. They were not hermits or cloistered religious, but they still shared an amazing experience of deep contemplative prayer together in Ostia before Monica’s death. What is really interesting to think about is when you combine all this talk about “active” and “contemplative” with the Augustinian emphasis on community. We hold community life as the core of our identity and the source from which our ministries feed. So when you combine prayer and community (aka communal prayer) you get a two-fold spirituality at the heart of Augustinian life, out of which our active lives proceed.